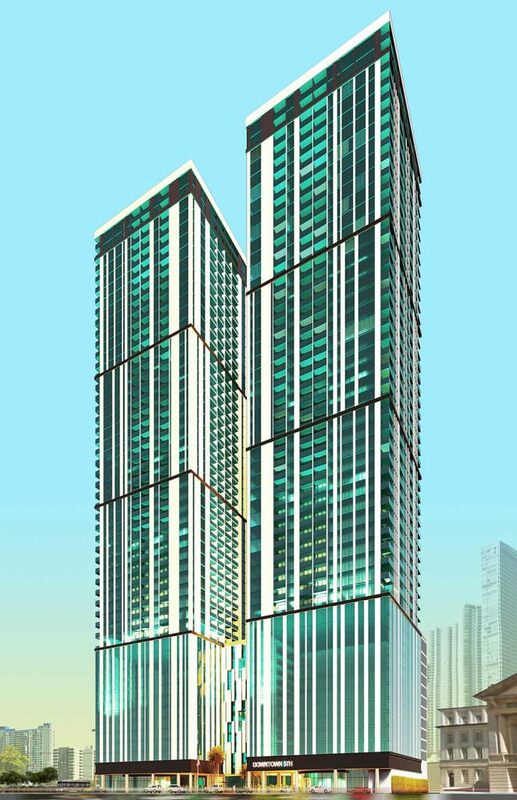 Three Melo Group towers were granted Federal Aviation Administration approval last week. The first, Miami Plaza, was approved for a height of 368 feet above ground, or 381 feet above sea level. The project also received final approval from Miami’s Planning & Zoning Department last week. Also receiving approval was a twin-tower project called Downtown 5th. It is approved at 495 feet above ground, or 508 feet above sea level. As of yesterday, a construction permit has been applied for at Miami Plaza and is pending review. Site work has not yet started, however. 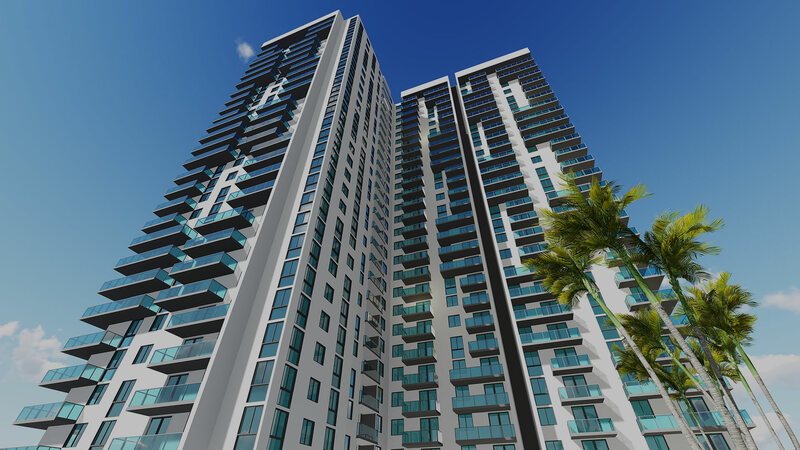 Miami Plaza is planned as a 35-story apartment tower with 437 apartments and a token amount of retail. Downtown 5th will include twin 50-story towers, with an unknown number of apartments. and it will be completed by spring, while Melo gets more permits for more projects… Downtown take over by Melo and I love it. Please no. Mimo has character, history and architecture. Melo, while filling in empty lots, does it with shoddy design and craftsmanship. There’s a place for this, and Mimo shouldn’t be it. Let him fill in gaps between downtown and midtown, and keep his white boxy uninspired buildings to one area. Lol… wish I could you a hundred thumbs up for that sentence alone! Both projects look like a great addition to the “RENTAL MARKET” in the Downtown Area, this is the kind of projects that will provide much needed housing to the people who want or “NEED” to live in this area, and don’t have the means to come in with 25% cash on 600 dollars the square foot “CONDOS” being built around downtown. Kudos to the Melo and keep up the great job!!!! This will activate a pretty boring area, I’m glad that this is coming to the neighborhood. The planned convention center in that area need to get moving! Seriously? or u just f’ing with me? Damn Melo why not just give us a 1000 footer? What’s with yall and these twin tower podium in the middle buildings? Gotta provide parking for nearly 1000 cars somehow. Melo either has no interest or no knowledge on undertaking a building like that. You can’t simply copy plans for a 1000 foot building and repaint the outside and reconfigure the windows/balconies. That’s Melo’s “secret” and why he can get these things done so quickly. And if we to continue waiting for you, these areas where Melo is building in would still be vacant and bleak. They deserve what Mana is giving them. Would you rather wait until another developer decides to invest or leave the area to continue rotting like its been for as long as anyone can remember? Theyre servicable units needed to infuse density before introducing higher end biildings as the area matures…that area is literally a dumpster fire right now! Awful, cluttered. Come back taller with better architecture, especially adjacent to Okan Tower. It should be like Aria. Okan will never be built. Those Turks better do something, they spent a lot of money for that plot of land. What an ugly building. Why is Miami stuck in the 80s. Because you haven’t become a developer yet to show the city how buildings should look. Because there’s no gutsy developers who dare to be different. No, it’s because the city allows it. If they would demand greater variety in design and architecture, it would weed out much of the riff raff. It leaves the impression that those responsible in voting for approval are paid for doing so. So what projects are you planning? I do not agree that it’s Ugly. It’s a rental building and I didn’t see nicer rentals in this city. Melo = another lot that’s been empty for decades is about to bite the dust! Melo = Beautiful and built.